The race for the Premier League top four – which ensures qualification to the Champions League – appears tighter than ever. 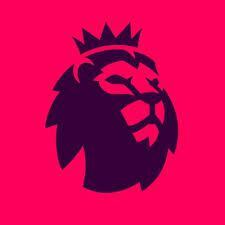 The main contenders have significantly strengthened their ranks with the acquisition of some big names in their ranks; while there have been significant managerial changes at some of the biggest clubs, making the Premier League one of the most exciting in recent times.It makes for interesting times for those following sportsbooks online – Seeing as we had Leicester win last season , anything is possible. Traditionally there have been four, or at max, five clubs with a realistic chance of finishing amongst the top four, but with last season’s achievement of eventual league champions Leicester City it has been hard to rule anyone out. Nevertheless, some clear favourites are still there. Manchester United have brought Jose Muroinho at the helm and the Portuguese has made some significant signings in his first transfer window at Old Trafford. He has brought in Paul Pogba from Juventus for a world record transfer fee, whilst also adding Henrikh Mkhitaryan, Zlatan Ibrahimovic and Eric Bailly in the ranks. Significantly, he has also demoted Bastian Schweinsteiger to the reserves. The Red Devils are amongst the title contenders and it would be foolish to bet against them for at least a top four Premier League finish. Manchester City have finally brought in the coveted Pep Guardiola as their manager, and just like he did at Barcelona, the Catalan has banished the players that didn’t fit his plans. So Joe Hart appears on his way out, while Yaya Toure doesn’t appear any closer to a first team appearance. He has also brought in a decent number of players at the Etihad with Ilkay Gundogan, Leroy Sane, John Stones and Gabriel Jesus being the prominent ones. Guardiola may be hampered by his inexperience in the Premier League, but a manager of his calibre is expected to guide his team to a top four finish. Another Premier League newbie is Antonio Conte at Chelsea. The Italian has made some significant signings in N’Golo Kante and Michy Batshuayi. He comes into English football with pedigree and, considering his credentials, anything less than a top four finish with the Blues will be considered a failure. Jurgen Klopp has now spent almost a season in the Premier League and has had a full pre-season to work with his Liverpool side. He has made several acquisitions and it will be interesting to see how long the new faces take to integrate themselves into their new team. Klopp has achieved success in his past assignments and, as such, expectations are high from his team. A return to the Champions League is the least the Reds faithful would expect. Arsenal have never missed out on Champions League football under Arsene Wenger, but his record looks in more danger than it has ever been in the past. The Frenchman has not made any significant purchases in the summer apart from Granit Xhaka and it may prove a hindrance in the club’s top four ambitions. Mauricio Pochettino’s Tottenham Hotspur were in the hunt for the league title before stumbling in the last few games in the season gone by. He will be wiser for the experience and will look to build on last season’s displays. Claudio Raniero’s Leicester City will find it hard to repeat their heroics of last season, but if past campaign taught us anything it is not to discount any team’s chances. Everton, now under Ronald Koeman, and with the financial backing of a new owner will be outside favourites, while Slaven Bilic’s West Ham United will also be amongst those with a shot at a top four finish. All said and done, a top four of Manchester City, Manchester United, Chelsea and Arsenal is our prediction.